TonyBet will also be the title sponsor of the WCC spectacular charity event, Playground Poker Club's 3rd All-Stars for Starlight. To make this event even more attractive, TonyBet is adding an extra 25% to the prizepool. The event is a $100,000 guarantee with four Day 1s played on August 26th and 27th. Players can qualify for the extra 25% in the prizepool by making a minimum deposit on TonyBet using the bonus code ‘Starlight25’. 1st place will get an extra $2,000, 2nd to 10th place an extra $1,000 and there is 25% extra in the prizepool for all other cashes. The event is a next-day re-entry and is a bona fide classic at Playground Poker Club that you don’t want to miss. There is also online satellites and many promotions where TonyBet members can win seats to events as well WCC tournament dollars. 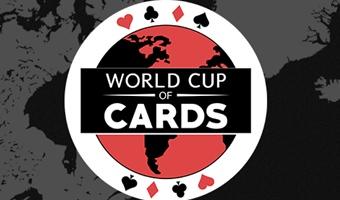 Anyone interested in the WCC should take advantage of our new deposit promotion, where players who deposit $50 using the bonus code “WCC25” will get a free $25 in tournament dollars for the World Cup of Cards at Playground Poker Club.